Golden jackal numbers are now increasing in the Danube Delta. Rewilding Europe has undertaken a preliminary local study to examine jackal behaviour and gauge people’s attitudes towards this resilient carnivore. The golden jackal is currently staging a spectacular westward expansion of its range. With its large cities, modern infrastructure network and extensive areas under intensive agriculture, Europe would seem an unlikely place for a large carnivore comeback. Yet a 2011 study commissioned by Rewilding Europe from the Zoological Society of London (and partners) found five European carnivore species – the brown bear, Eurasian lynx, wolverine, grey wolf and golden jackal – all expanding their European ranges. In many areas of the continent, these animals are thriving outside protected areas. The golden jackal, often overlooked as a large carnivore in Europe, is currently staging a spectacular westward expansion of its range. From a stronghold in southeastern Europe, it has now been sighted in Estonia, Germany, Denmark and even the Netherlands. In the Danube Delta, Europe’s second largest wetland, it is also increasing in number and range. Razvan Crimschi, a member of Rewilding Europe’s Danube Delta team, together with Mihnea Tanasescu, a postdoctorate researcher at Vrije University in Brussels, have been studying the attitudes of local people towards the jackal in and around Sfântu Gheorghe, a village in the eastern part of the delta, located close to the mouth of the Danube. They have also used a number of camera traps to record the presence and behaviour of jackals and see how results correlate with villagers’ comments. 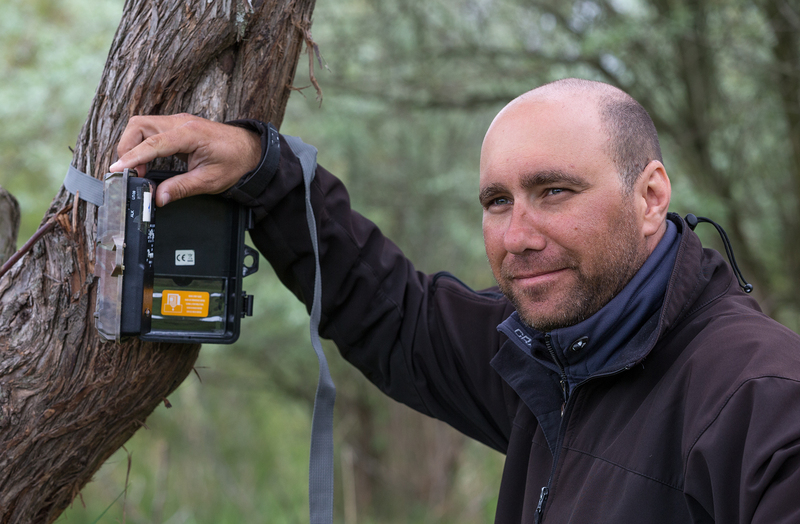 Razvan Crimschi, from the Danube Delta rewilding team, sets up wildlife cameras to record the presence and behaviour of jackals. Last year Crimschi and Tanasescu interviewed a number of Sfântu Gheorghe villagers, recording their views and taking note of where jackals had been sighted. They then deployed seven camera traps over a one-year period to record jackal activity. The study also revealed that the cry of the jackal plays a major role in the way it is perceived. 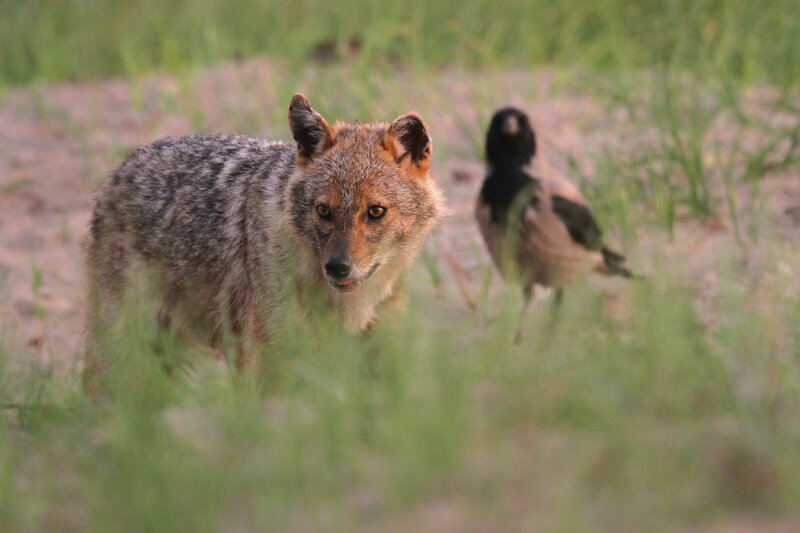 Many villagers from the Danube Delta rewilding area revealed a quiet admiration for the jackal and its capabilities. 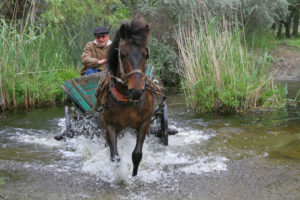 The fact that many residents in the Danube Delta live in challenging socio-economic conditions also has an impact on the human-jackal dynamic. Despite this, there are signs that the growing presence of the jackal is being tolerated and accepted. 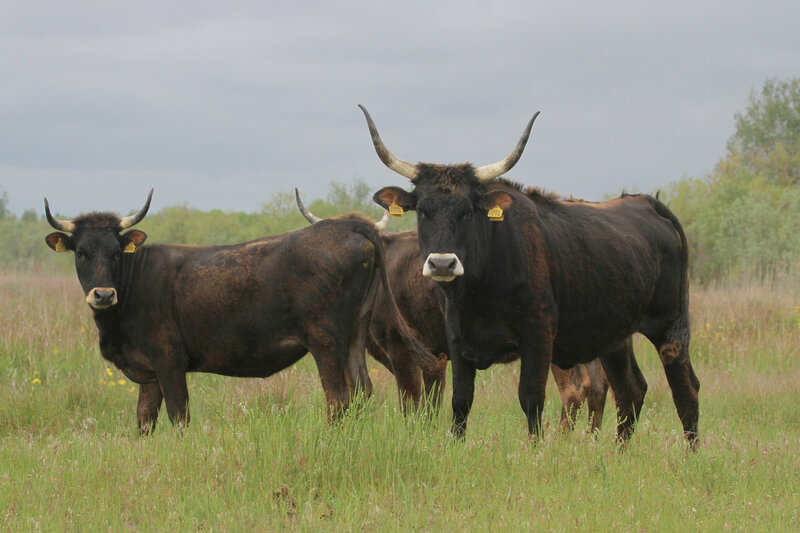 In partnership with three local livestock breeders, Rewilding Europe began a breeding programme for Tauros near Sfântu Gheorghe in 2015. The local economy in the village is largely based on a mixture of agriculture, fishing and tourism. The footage collected by the team is currently being analysed, but it is already clear that the villagers of Sfântu Gheorghe have a very good understanding of jackal behaviour and location, and are adapting to its presence. In some cases, for example, highly pregnant cows are now being kept close to villagers’ homes to protect newborn calves from jackal predation. As in other areas of Europe where large carnivores are present and making a comeback, building trust in the community and helping local people overcome wildlife-related problems will be critical to ensuring this state of coexistence continues. The delta team plan to publish further analysis of the material collected during their study in the near future. Those interested in learning more about Mihnea Tanasescu’s work can follow his blog here.